The success of turnkey projects is ensured by DUOL’s professional services and DUOL’s in-house team of specialists. 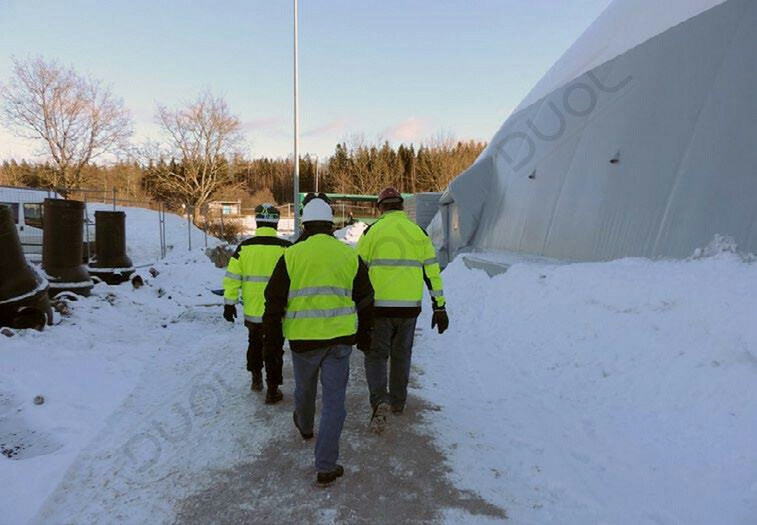 DUOL have the necessary infrastructure, experience, personnel, technology, equipment to handle any project, from a single tennis court cover to the DUOL largest 15000m2 big air supported structure. Engineers and architects work alongside with a team of experienced project managers and assembly personnel to generate value in sports engineering. 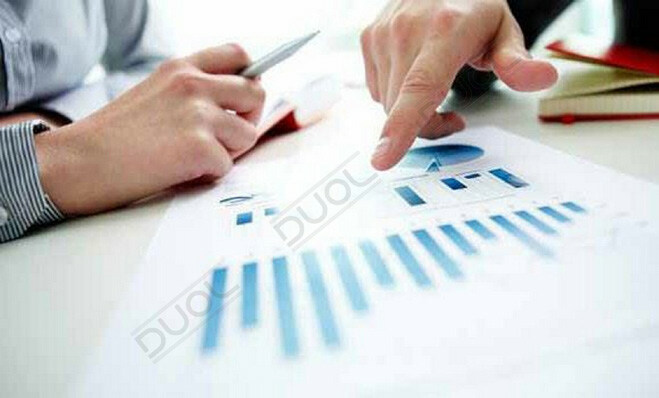 The whole procedure is done in tight cooperation between the DUOL team and the investor. From the initial inquiry to post project debrief and after sales maintenance, we strive to provide a professional client service at every step. The Client is invited to attend a significant part in all phases of project realization and to get the most out of their structure. 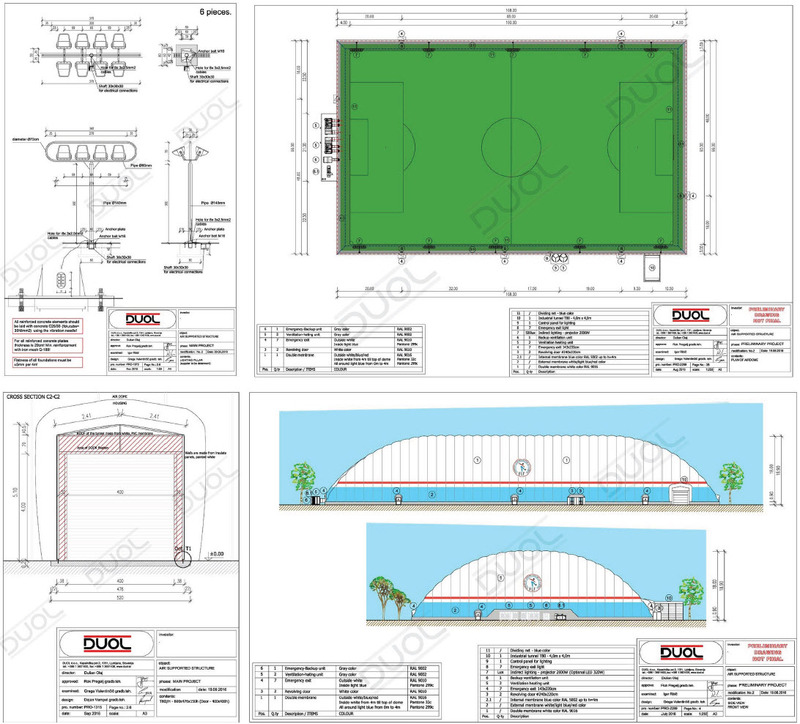 At DUOL, we strive to reach the highest level of quality in our business and we aim to make sure that your decision in choosing an air dome is as easy as possible. We care about our clients, our promise to you is that you will get from us the best product, designed to your need exclusively. Engineers from DUOL engineer fabric structures (air supported structures, tension, steel and wooden structures) upon your request. We can completely custom design your fabric structure to meet your specific needs. The engineering department uses your specifications to calculate items relating to stress, load, etc. Plans are then drawn for your particular project. 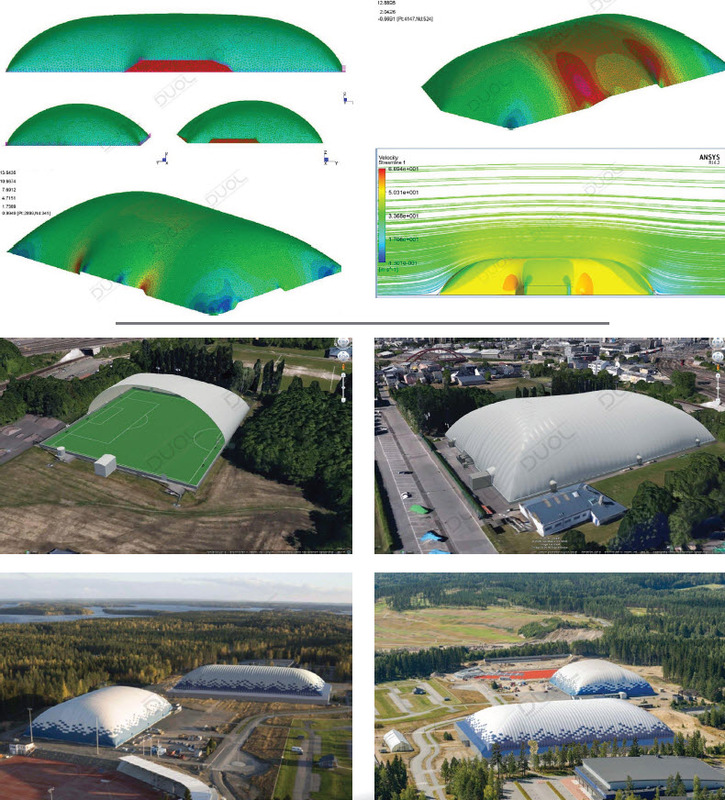 Statical structural analyses present the behavior of air supported structures under applied loads. The engineering department also creates high-quality visualizations of fabric structure designs using advanced rendering systems. The main purpose of this procedure is a generation of realistic images for client review of custom design structure and is generated for engineering as well as aesthetic reasons. 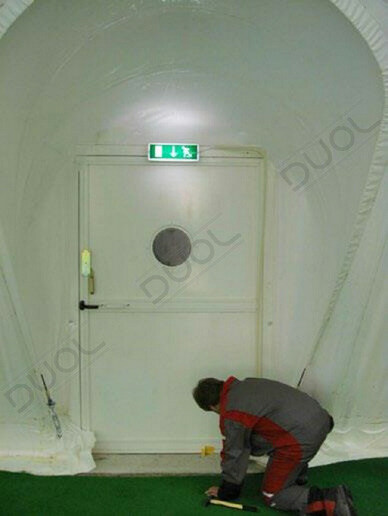 DUOL manufactures air halls in its own production facility and supplies products directly to the client. 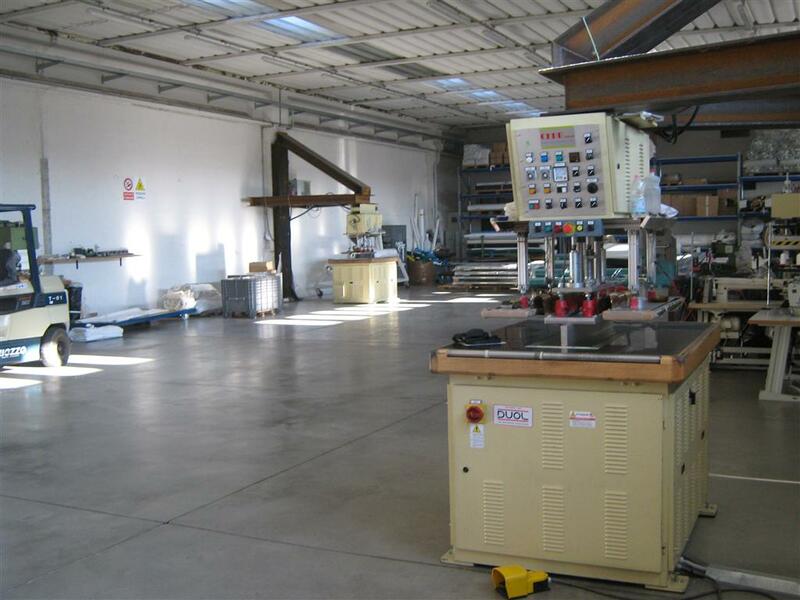 Manufacturing in our own production facility allows us infinite control over the production of your structure. Combining office administration and manufacturing gives us the ability to easily consult with all members of our dynamic team, assuring that all areas of expertise go into each and every step of your project. Professional Installation by DUOL in-house assembly crew is the final phase of the project realization. The dome is handed-over to the Client after detailed dome maintenance instructions and with a 24-hour contact number for any assistance. Our after sales service exists throughout the lifetime of the air dome as we genuinely care and everything we do is with Integrity at its heart. Subsequent dismantling and re-installation will take approximately one or two days depending on the size of the structure.